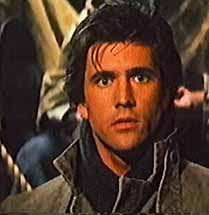 In 1984, starred as Fletcher Christian in The Bounty. Reportedly, Gibson and Anthony Hopkins, his costar on the film, did not get along during the shoot. At the time, Anthony Hopkins was a teetotaler, and Mel Gibson was struggling with alcoholism. Gibson frequently spent his evenings in local saloons and took to mixing two shots of Scotch with his beer. He dubbed the concoction "Liquid Violence". In one incident, Gibson's face was severely cut up in a bar room brawl and the film's shooting schedule had to be rearranged while he was flown to a hospital in Papeete.